Great for my new rescued cat! Cat is not huge but not small. Great value. 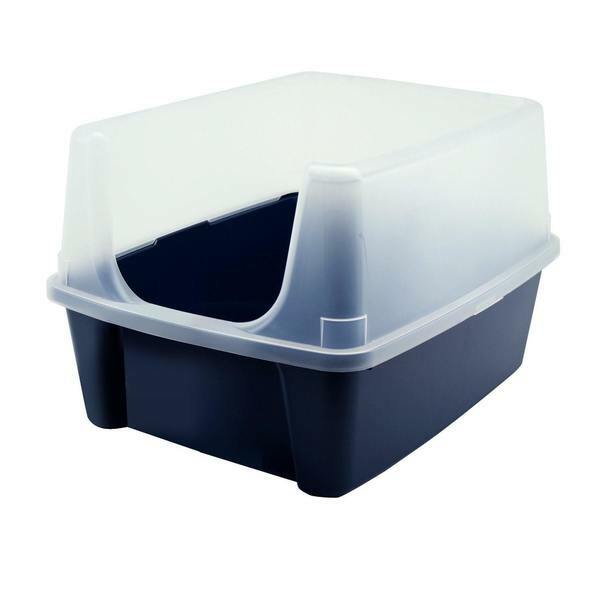 Large open litter pan with extra-tall shield to help contain litter scatter and spray. High-polished interior surfaces to make cleaning a snap. Recessed bottoms and molded-in feet. All-around molded-in rims for added strength and stability. My older cat was spraying over the edge of his old litter box and making an awful mess. No problems now that we have this one with the high sides. It is a good quality litterbox for a very reasonable price. I am happy with this purchase. Best litter box I've found. Top does not fit on securely and occasionally is knocked off, but even so litter stays inside the box! The best thing about this cat box is the that the cover really does work. We always had cat sand or pellets all over the floor but now it's clean all the time! It was as expected! Quick shipping. My cat is to chubby for the kind with the door or the one with the lid.